Art is more than a painting or a sculpture in a museum. Art is in the way the sun sets on the ocean or shines through the trees. Art is found splashed on a cement wall while lost on the streets of a foreign country. Art is seen in the textures and colors of plants and animals. No matter where you look…Art is everywhere in life. How we dress daily is our own form of self expression. That is why ArtLife Clothing creates wearable art focusing on comfort and versatility while paying attention to every detail. In addition to delivering a fashion label unique in design but familiar in style for both men and women, ArtLife is a creative way of living strongly influenced by nature, travel, and the beauty all around us. Graphic designer, illustrator, painter, photographer, and now fashion designer…Dominic LaBarbera, with entrepenuer blood in his veins, established ArtLife in 2010 after various jobs and years spent as a freelance artist. Originally from Palos Verdes, CA and spending most of his life in the South Bay of Los Angeles, Dominic was immersed in the surf/skate culture, music scene, and Southern California lifestyle. 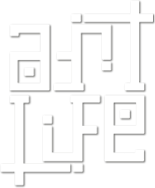 The ArtLife brand, however, isn’t strictly confined to just these things. Each collection is inspired by an adventure or destination anywhere on the map and features collaborations with fellow artists of all mediums and styles. Whether behind the wheel of his van or trekking to countries near and far with only a backpack, camera, and sketchbook/journal, he envisions a brand that people from all walks of life can relate to. The logo, an original ambigram, he first created as a conceptual sketch for a tattoo design and is now inked on his arm so that “Art” faces him and “Life” faces out. This reminds Dominic to stay creative no matter where the journey ahead of him leads. Unfortunately, throughout the years there has been a few knock-offs floating around the internet of his ambigram design (now registered logo) which he considers more disrespectful than flattering. He strongly believes that all artists should always be credited for their work much like a musician is credited for their songs. ArtLife is based in Manhattan Beach, CA and is 100% made in the USA. However, ArtLife has no boundaries and Dominic’s dream is to share it’s craft all across the globe.